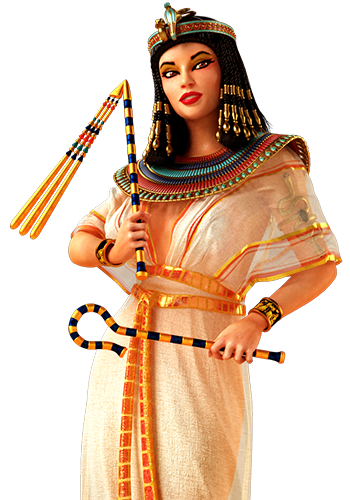 Egypt and its mysteries, its grand queen Cleopatra and the magnificient 'Golden Asp' that will give you up to 1000 free spins! 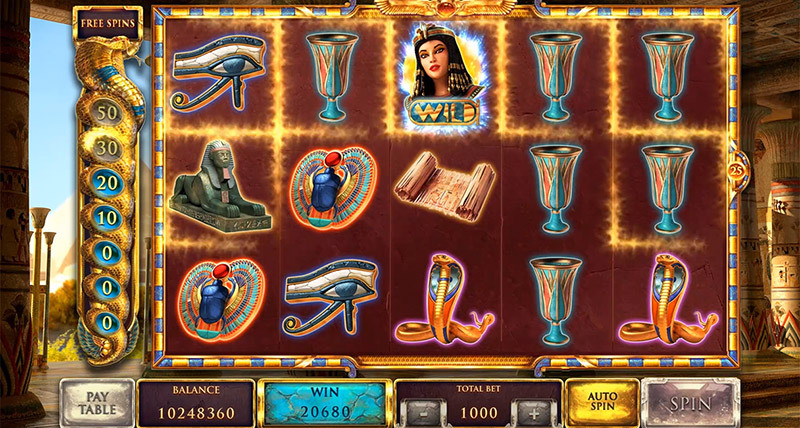 5x3 reeels and 25 paylines. 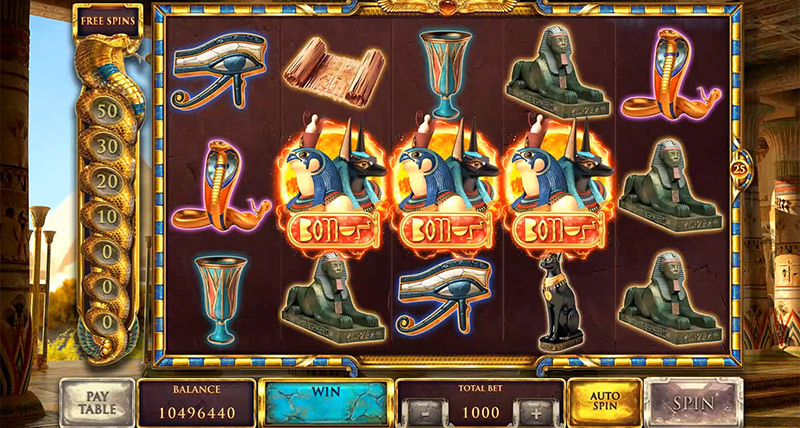 Asp which trigger "Free Spins Bonus Feature". 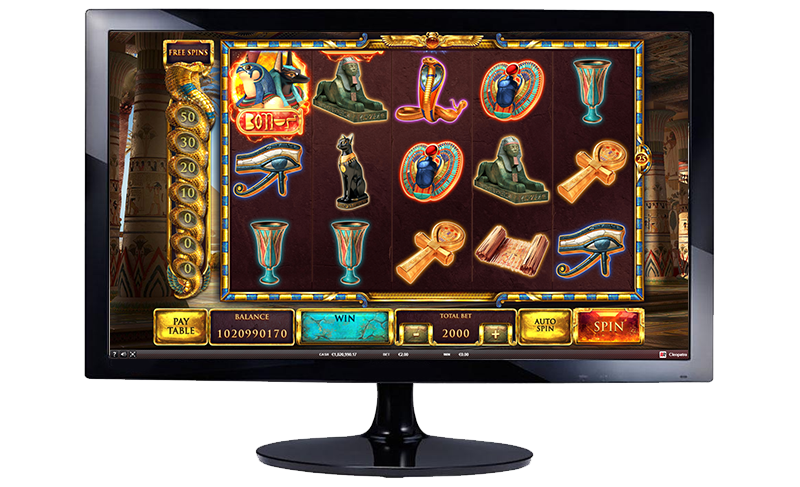 Asp symbol acts as a wild during 'Free Spins Bonus Feature'. 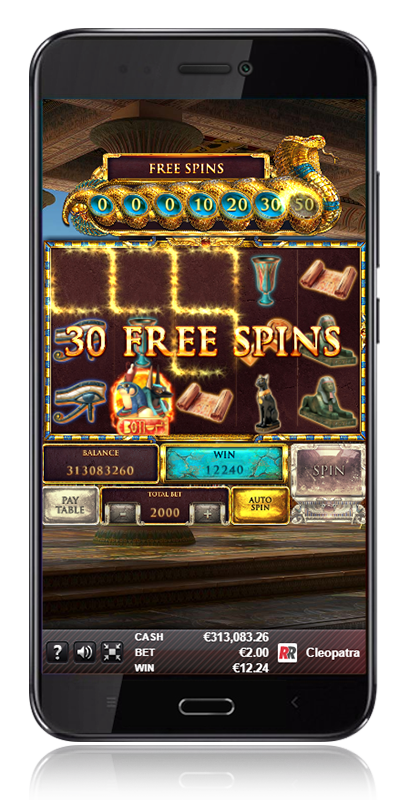 If you connect 4 or more Respins in the same spin, you will get free spins. 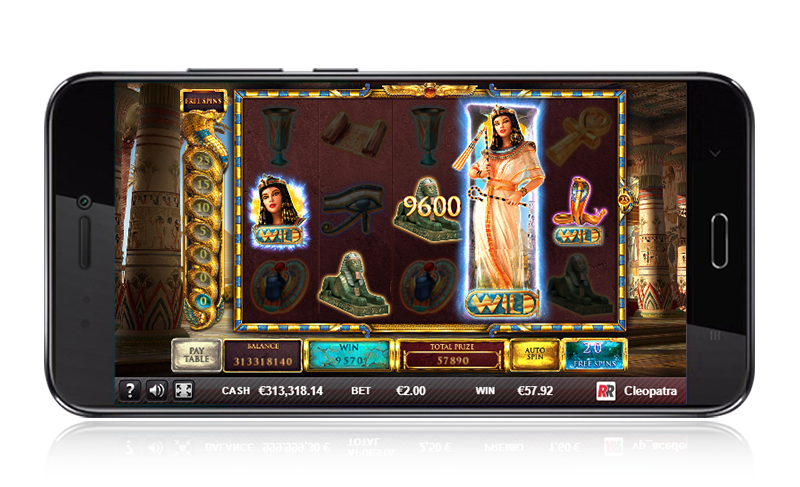 There is a maximum of 1000 accumulated free spins. 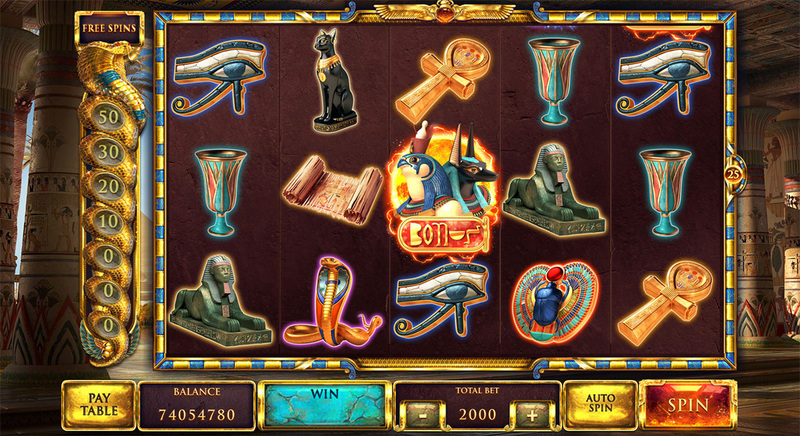 Having 3 Bonus symbols in any position but in different columns starts the 'Wheel of Gods Minigame'. 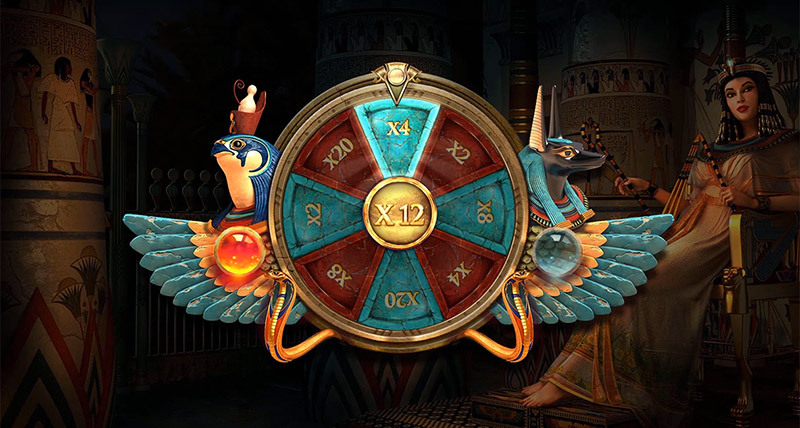 In the 'Wheel of Gods Minigame' you will have to choose between 2 gods, Horus or Anubis, to make the wheel spin.